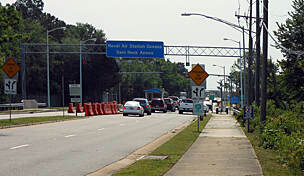 The Norfolk Avenue Trail runs along the north side of Norfolk Avenue between Pacific Avenue and South Birdneck Drive to the west. 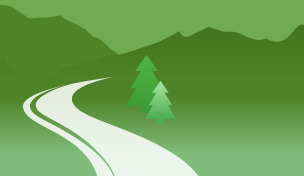 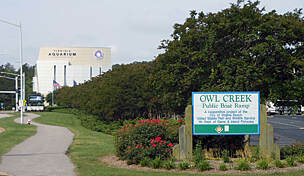 The paved trail links Virginia Beach neighborhoods, shopping, and parks along its 1.3-mile stretch. 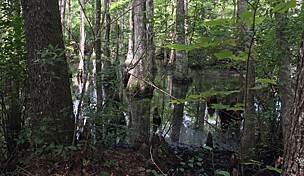 The trail occupies a portion of the former Norfolk and Southern Railroad right-of-way. 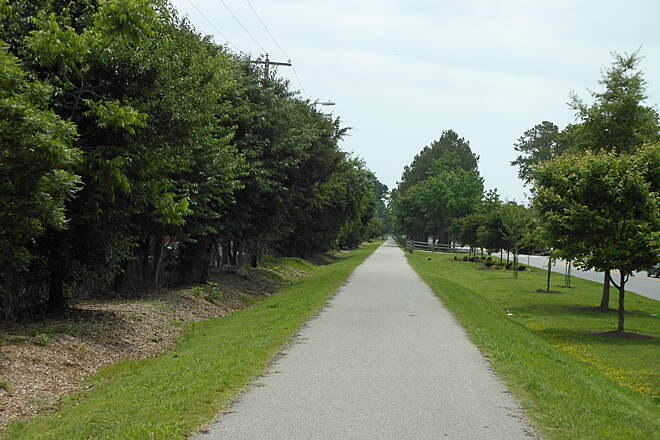 For a longer ride, you can continue your journey on the Virginia Beach Boardwalk, which is just two blocks east of the Norfolk Avenue Trail's east end. 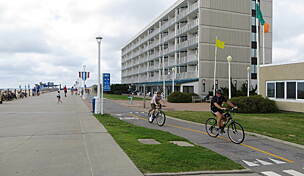 The boardwalk—with a lane separating bikers from slower-moving pedestrians—runs 2.6 miles along a beautiful and popular beach. 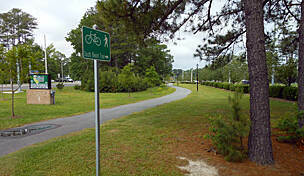 On the eastern end of the trail, park in a lot along Norfolk Avenue between Mediterranian and Cypress avenues. 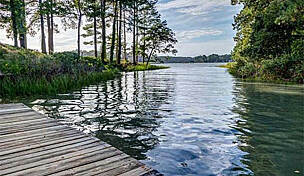 You can also park by the beach at the east end off Pacific Avenue/US 60 just north of Norfolk Avenue.